The fairy tale season of the professional Brazilian soccer team Chapecoense ended in tragedy when their plane crashed in Colombia, killing all but six of the 81 people aboard. As Colombian investigators tried Tuesday to pin down the cause and retrieve the bodies, Brazilian President Michel Temer declared three days of national mourning and his countrymen braced for a series of wrenching funerals. Meanwhile, in a show of sportsmanship, the Colombian club Atlético Nacional that the Brazilians were flying down to play in South America's second biggest soccer tournament asked organizers to award the doomed team the title. Founded in 1973 and based in the city of Chapeco (pop. 210,000), Chapecoense was little known outside of Brazil until Monday when their chartered plane crashed around 10 p.m. ET while on its way from Santa Cruz in Bolivia to Medellin's international airport. 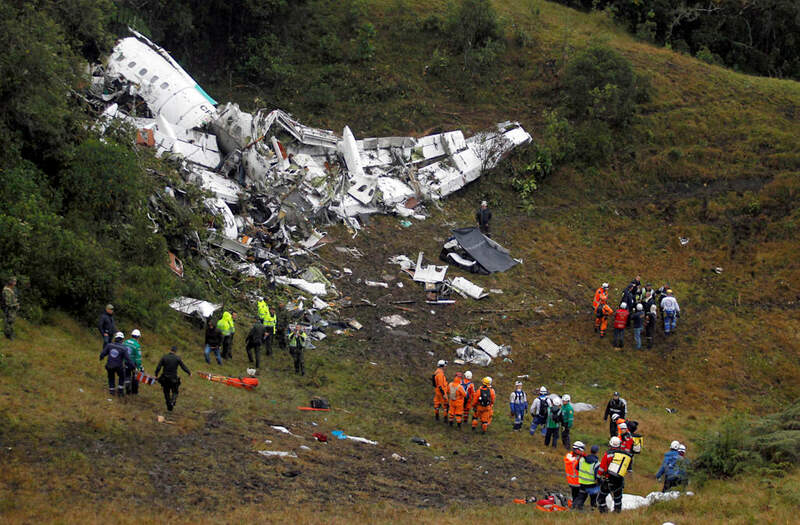 Operated by LaMia, the plane was about 18 miles from its destination when for reasons still unclear it went down in a mountainous jungle area, killing 75 of the people on board, said Gen. Jose Acevedo, who heads the local police force.